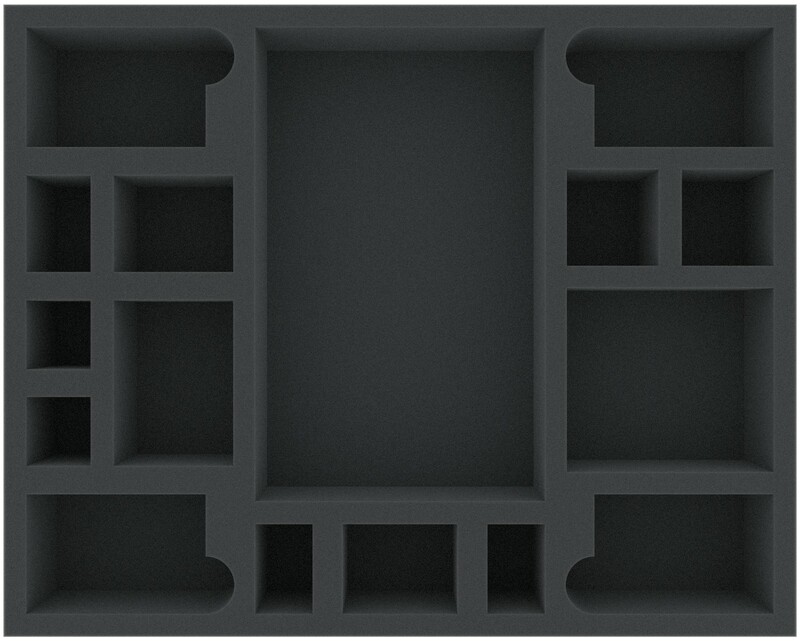 The foam tray is ideal for many board games. 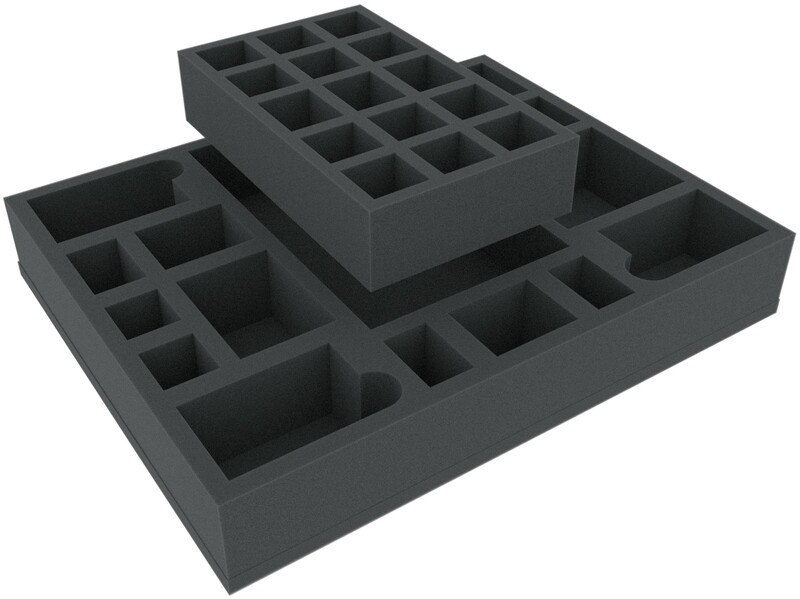 In addition, there is included an free extra foam insert, that can be used to divide the big compartment in 15 smaller compartments. 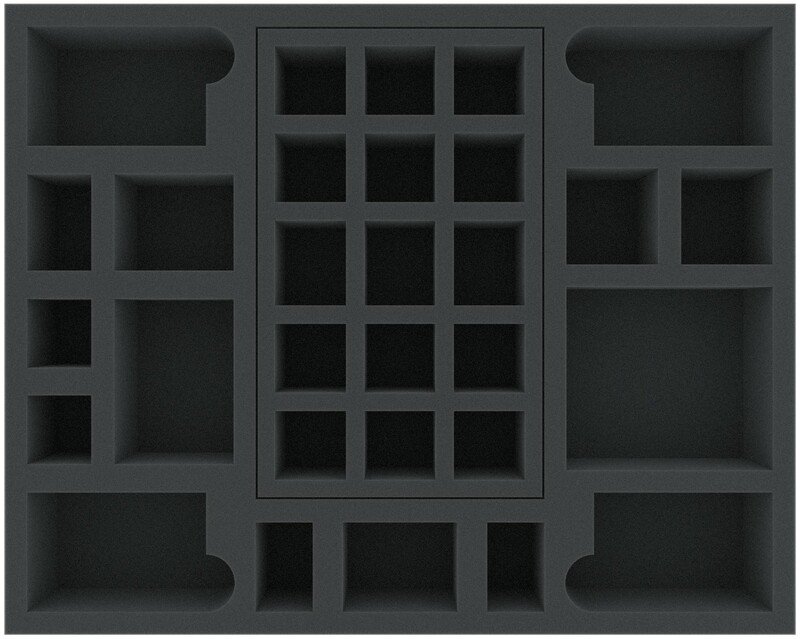 The foam tray offers then 30 compartments. So can be kept in a well miniatures, markers and dice. The full-size tray is compatible with the Feldherr bags and cases: MEDIUM, MAXI, MESSENGER, CASE and STORAGE BOXES. 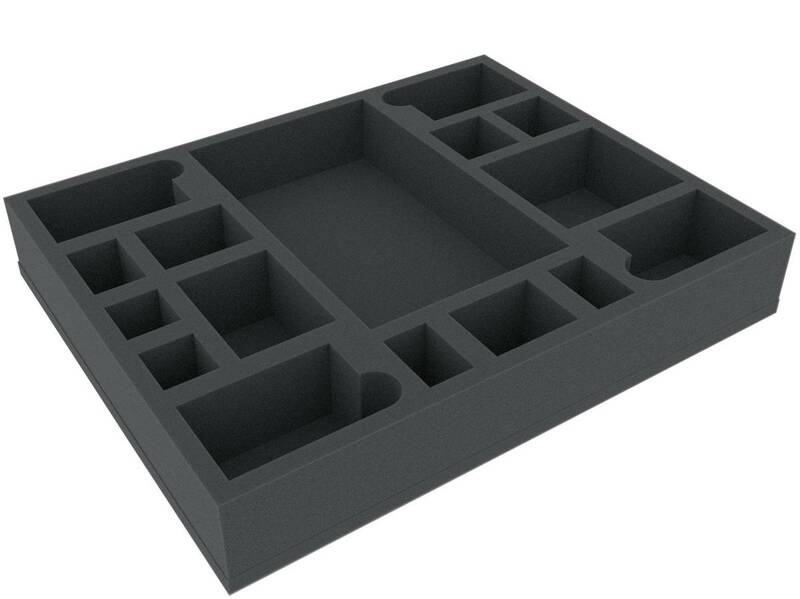 The 55 mm depth of the foam is result from 10 mm foam base and foam tray with 45 mm effective thickness.